The level of detail in this documentary/compendium is impressive, and given how much detail the filmmakers Daniel Farrands and Thommy Hutson gave to their previous co-production, “Never Sleep Again: The Elm Street Legacy”, it’s understandable to see how they would go to any lengths and spare no one a return trip to a terrifying (or hilarious) moment from their particular 13th. Unlike “Never Sleep Again”, “Crystal Lake Memories” doesn’t have any “extras” per se; the entire film is almost like one massive behind the scenes special. Each film has it’s own chapter, and to my surprise and delight they even devoted a chapter to Friday the 13th: The Series, which finally explained to me some of the “executive reasons” as to why that show disappeared way too soon. Explaining some of the reasons why Jason X and Freddy vs Jason didn’t end up as better stories was interesting, but the behind-the-scenes tidbits from many of the actors in the various films are also compelling, from listening how some thought the first movie would last 15 minutes and be forgotten, to others arguing about who was the real hero/survivor of a particular film, and what story paths certain of the sequels could have gone to make for a better tale for the fans. 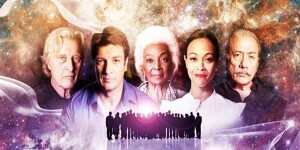 If you want to try to watch the entire film in one sitting, plan ahead. The running time of 400 minutes is no joke — 6.5 hours of wall-to-wall Jason Voorhees anecdotes, from making each on-screen death unique or more horrible, to the incessant battles with the MPAA board on how much of the various bloody deaths to cut to keep an R rating, to the fan responses with each new movie, if you’re a fan of the series, you’ll want to add this to your collection. 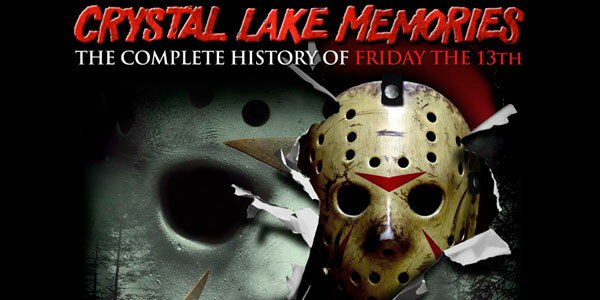 Combining hundreds of rare and never-before-seen photographs, film clips, outtakes, archival documents, conceptual art and behind-the-scenes footage, and featuring interviews with more than 150 cast and crew members spanning all twelve films and the television series, CRYSTAL LAKE MEMORIES is the ultimate tribute to one of horror’s most iconic and enduring franchises. 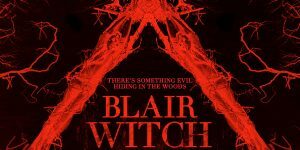 Narrated by Corey Feldman (Stand by Me), the film also stars Sean S. Cunningham (Friday the 13th), Wes Craven (A Nightmare on Elm Street), Robert Englund (Freddy vs. Jason), Alice Cooper (Wayne’s World), Frank Mancuso Jr. (Ronin), Adrienne King (Friday the 13th), Amy Steel (“All My Children”), Ari Lehman (Friday the 13th), Betsy Palmer (I’ve Got a Secret), Erin Gray (“Silver Spoons”), Kane Hodder (Se7en), Lar Park Lincoln (Friday the 13th Part VII: The New Blood), Robbi Morgan (Friday the 13th), and Stu Charno (Friday the 13th Part 2) and is directed by Daniel Farrands.